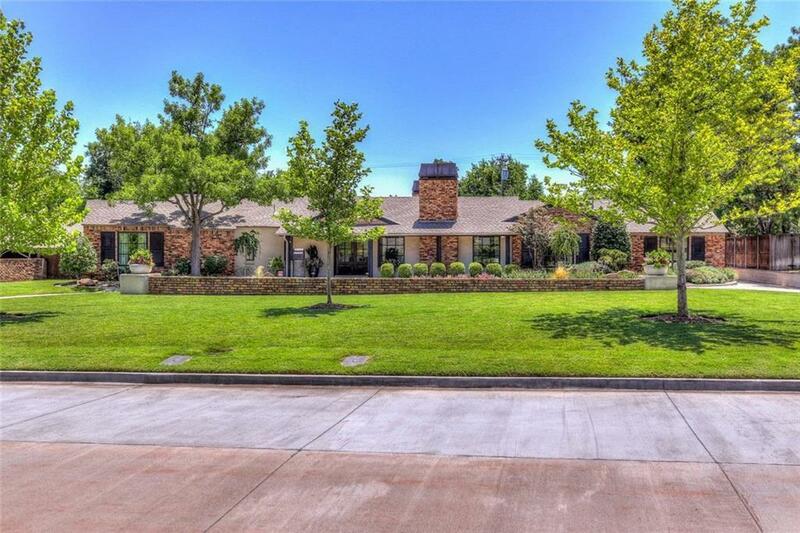 Nichols Hills buyers don't miss your chance to see this SPRAWLING CALIFORNIA RANCH sitting on just over half an acre lot, just a short walk to Kite Park, Nichols Hills Plaza and the Country Club. Beautifully landscaped, Rear 3 car garage, heated swimming pool plus a cabana/apartment with full bath. Transitional one level floor plan has 3 living areas that can be opened or closed depending on needs. The chef's kitchen is light and airy with stainless appliances, large island and loads of storage. Sprawling master suite is separated from the other bedrooms and the closet is conveniently connected to the laundry room. Large master bath has heated floors, separate tub and shower plus a large vanity. Study with a fireplace is ideal as an everyday home office and the full bar is perfect for entertaining too! Wood floors and Pella windows thru-out!